Cage the Elephant - Win Tickets to See Them with Beck at Toronto's Budweiser Stage! - Enter on Exclaim! 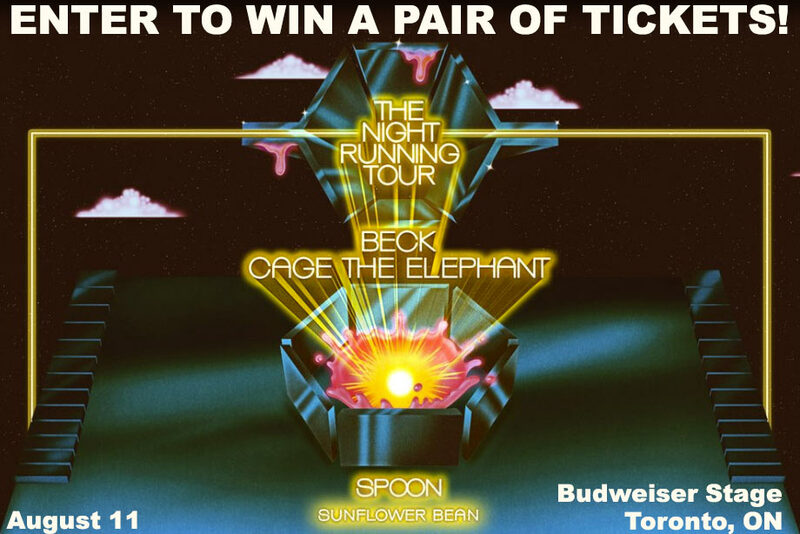 Enter to win a pair of tickets to see Cage the Elephant, Beck, Spoon and Sunflower Bean at Toronto's Budweiser Stage on August 11. It's the lone Canadian date of the summer tour, and Cage the Elephant are the lone band playing with a brand new album out. Fifth LP Social Cues drops April 19 via RCA and is set to include their recently release collaborative song with Beck, "Night Running." Expectations are no doubt high, as it'll be the first LP from the Schultz brothers and co. since 2015's Tell Me I'm Pretty, which won the Best Rock Album Grammy in 2017. For your chance to win a pair of tickets, check out our tour announcement article and fill out the form below, but don't forget to order the album here.